When Heroes Reborn was announced early last year, many wondered how many of the characters from the original series would return for the 13-episode limited series. Since then many of the castings have been new faces, but there will be several familiar faces visiting like Noah Bennett and Hiro Nakamura. 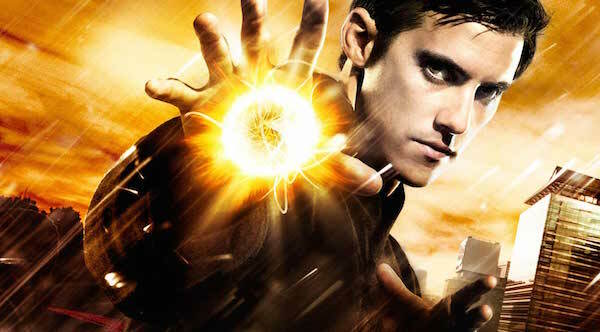 However, when Heroes Reborn debuts later this year, one actor who won’t be featured is Chosen actor Milo Ventimiglia, who starred as Peter Petrelli. While plugging his upcoming appearance on Gotham as the Ogre, Ventimiglia was asked by Zap2It whether there were any plans to bring back Peter for Heroes Reborn, and he stated no one had approached him about returning. As far as I understand, they're already back to work and have broken their stories. Maybe they'll mention the Petrellis, but I don't see it happening that I would be revisiting. Just not gonna happen. Ventimiglia did say he was looking forward to seeing his old cast mates Jack Coleman and Masi Oka on the show, as well as their costar Zachary Levi. Heroes Reborn will also feature the return of Jimmy Jean-Louis, who played the mysterious Haitian. Peter was one of the lead characters during Heroes’ four seasons. Originally a hospice nurse, he discovered he could empathically mimic the superpowers of anybody he stood near. As Season 1 wore on, Peter was able to permanently retain these abilities, practically making him the show’s most powerful character. After losing this ability in the Season 3 episode “Dying of the Light,” he later injected himself with a formula that grants superpowers. This gave him a toned-down version of his original ability, which let him copy one power at a time through physical contact with another person. Think Rogue from the X-Men, but without absorbing a person’s memories and not causing them pain. Milo isn’t the only actor who won’t be reprising their Heroes role. Nashville star Hayden Panettiere, who played Claire Bennett, said last year she hadn’t been asked back, and Zachary Quinto stated he didn’t feel like returning to play Sylar. As for the other main members of the Petrelli family, Peter’s brother Nathan was killed at the end of Season 3 (although Adrian Pasdar stayed during the fourth season as a shape-shifted Sylar who was brainwashed to think he was Nathan), and there hasn’t been any mention of Cristine Rose reprising her role as their mother Angela, so Heroes Reborn may have to go Petrelli-less. Heroes Reborn is scheduled to premiere on NBC in the fall of 2015, and will be preceded by an online prequel series.